Original Editors - Kristin Dierker & Kalie Reams from Bellarmine University's Pathophysiology of Complex Patient Problems project. Chikungunya Fever also known as Chikungunya Virus is a mosquito transmitted viral disease mainly by Aedes aegypti and Aedes albopictus. Chikungunya Virus is an RNA virus that belongs to the arthropod born alphavirus genus and belongs in the family Togaviridae. “Chikungunya” is from the Kimakonde language meaning “to become contorted.” The origin of the word comes from the typical ailments of the disease that lead to a bent presentation and arthralgic (joint pain) symptoms. The most common signs or symptoms of the chikungunya virus are an acute onset of fever (typically >102℉) and joint pain which is typically bilateral and symmetric. Typically the joints involved are small joints of the hand, wrist, and ankles. While the larger joints involved are the knee and shoulder. Axial joint involvement can occur as well. Some other symptoms one may complain of are headache, nausea/vomiting, muscle pain, joint swelling, or a maculopapular rash. This presentation usually begins 3-7 days after an infectious mosquito bites the individual. Within 7-10 days these acute symptoms should be resolved. The majority of the patient's joint pain will resolve within fairly quickly within 1-3 weeks. However, some cases of chikungunya virus the joint pains can persist for 4 months to up to 5 years. This may include exacerbation of joint pain and stiffness. People at risk for a more severe chikungunya virus disease include some factors that can be changed while others cannot. Patients with joint pain were found to have sleep, memory, or concentration disorders as well as depression and asthenia (lack of energy and strength). Some patients may experience hypertrophic tenosynovitis in the wrists and ankles. Also, transient peripheral vascular disorders like Raynaud's syndrome may develop. Currently, there is no medication to cure chikunguyna virus. Treatments used to treat chikungunya virus are focusing on treating the patient's symptoms to provide relief. Different treatments include analgesics and NSAIDs for pain and inflammation, corticosteroids can be used but with less frequency. For those who suffer from chronic arthritis, the use of chloroquine and antimalarial medication has shown some benefit in certain studies while other studies show a negative effect from these medications. A combination of interferon alpha and ribavirin has been used for anti-chikungunya in some patients. A physician diagnosing chikungunya will look at ones signs and symptoms as well as recently traveling. He may also order lab tests to confirm or deny chikungunya virus. Within the first 8 days one may have blood work completed looking specifically at the serum for the chikungunya virus RNA. Another blood work test is enzyme-linked immunosorbent assay (ELISA). This may verify IgM and IgG anti-chikungunya antibodies are present. Typically IgM and IgG will develop about 1 week after the onset of illness. IgM anti-chikungunya antibody level is highest 3-5 weeks after the initial infectious mosquito bite and can last increased for about 2 months. Also, other additional lab values can include lymphopenia (low white blood cell count), thrombocytopenia (low blood platelet count), elevated creatinine, and elevated hepatic transaminases. Radiological findings are typically normal. Chikungunya virus is most commonly caused by the bites of infected female mosquitoes mainly the species Aedes aegypti and Aedes albopictus. Chikungunya virus is transmitted from human to human through these mosquito bites. They are biting throughout the day time however their peak activity time in early morning and late afternoon. Other rare possible causes can be through blood-borne transmission, in utero transmission, and intrapartum transmission. Also, it is important to know during the first week of illness the risk is the highest due to the infected person transmitting the virus to a biting mosquito or through blood. While Chikungunya typically affects the rheumatologic, immune and musculoskeletal systems , in severe/ rare cases the neurologic, dermatologic, and ocular systems can all be involved. The joint pain, rash and fever can reappear after a latent period. Rheumatologic: Joint pain and swelling, especially in the ankles, wrists and hands occur in 87% of patients according to a study in 2014. Larger joints, such as the knee, shoulder and spine can become affected as well. Of those affected with joint pain, 88% of them had resolvement of symptoms in a few weeks, however 3.7% had remaining periodic joint pain and stiffness, 2.8% had persistent stiffness without pain and 5.6% had significant joint pain that limited their daily activities. Immune: Fever and chills occur in 92% of cases according to one study. These symptoms typically resolve within a few days. Musculoskeletal: Back pain has been observed in 67% of patients in the 2014 study as well a very small percent of people experience muscle and achilles tendon involvement. Neurologic: While headaches are a common symptom (62%), less common neurologic symptoms can include febrile seizures, meningitis and encephalitis. Dermatologic: Following a fever some patients develop a “non-pruritic maculopapular rash” that can appear on the face, limbs or trunk and last up to 10 days. Ocular: Symptoms of neuroretinitis and uveitis can develop in patients. There is currently no medication or vaccine to help treat chikungunya, the current best treatment is prevention. For an individual to be protected, clothing that minimizes skin exposure may be recommended. 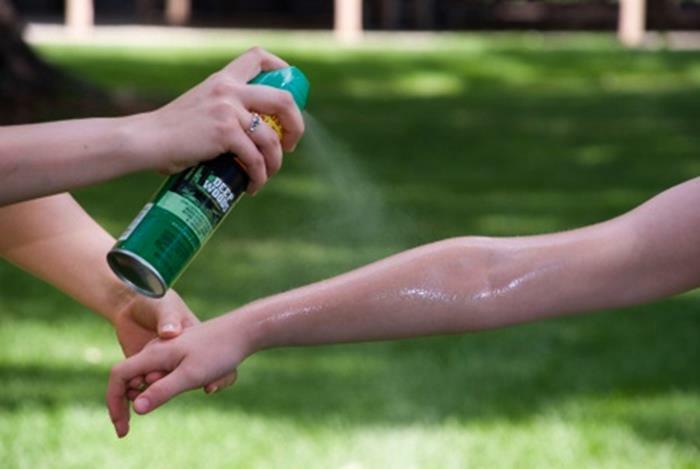 Also, insect repellants may be applied to the skin or clothing following the product instructions. Since chikungunya virus is currently on the rise there is little to no evidence currently on physical therapy management. There have been reports of patients complaining of significant incapacitating arthralgia that limits their activities of daily living, work and social activities. Physical therapy can help improve all of these activities and help patients get back to their daily lives. Taking into consideration patient signs and symptoms as physical therapists we can help with managing chronic pain that may be present. By evaluating the joints and muscles we can design a specific plan to decrease pain. It may include pain-relieving modalities as well as exercise. By strengthening and targeting specific muscles it will reduce the load of the inflamed joints. Also, physical therapists can provide supportive care throughout the chronic pain. Chikungunya virus can present similarly to other illnesses because of its signs and symptoms of fever, joint pain, headache, rash, and nausea/vomiting. Dengue- Dengue is also a mosquito contracted illness when symptoms arise quickly (4-7 days) just like chikungunya virus. Dengue and chikungunya virus are often misdiagnosed. These two illness have similar sign and symptoms but typically dengue fever will present with enlarged lymph nodes, severe eye pain, mild bleeding of the nose and gums, and easily bruising which chikungunya does not. Also chikungunya virus the pain is more intense and specific in the joints than dengue. Zika Virus- Zika virus is transmitted through the same mosquitos as the chikungunya virus. It has similar signs and symptoms of fever, rash, muscle pain, headache, and joint pain. The symptoms typically are acute just like chikungunya virus. Treatments for both are very similar including rest, drink plenty of fluids, take acetaminophen (Tylenol®) or paracetamol to help reduce pain and fever. West Nile Virus- West Nile Virus is another mosquito transmitted disease just like chikungunya virus. Most people infected will not show any symptoms however the 20-30% who do will have a similar presentation. This includes headache, body ache, joint pain, vomiting, diarrhea, or rash. Additional laboratory testing can be completed to detect the WNV-specific IgM antibodies. Alphavirus infections (Mayaro Fever, Ross River, Barmah Forest, and Sindbis viruses)- These infections all have distinguishing symptoms of joint pain along with a rash. Also, these viruses and transmitted through mosquitoes. It is very important to look at all the signs and symptoms as well as duration. Malaria- Malaria is a mosquito transmitted disease. Symptoms will typically appear about 7 days to 4 weeks after he or she has been bitten by the infected mosquito. Symptoms are similar to chikungunya virus with fever, headaches, and muscle pains. Some signs and symptoms they will not experience are joint pain, joint swelling, and a maculopapular rash. Laboratory tests can be beneficial to diagnosis malaria. Group A Streptococcus- Group A Streptococcus is spread through contact of infected droplets from a person's cough or sneeze. This group includes necrotizing fasciitis, strep throat, and scarlet fever. Each of these have some similar symptoms to chikungunya virus but some are specific to each illness and the transmission is also different. Rubella- Rubella can be similar to chikungunya virus in the symptoms of rash and fever. Rubella symptoms only typically last 2-3 days where chikungunya virus is just a few days longer. Also the transmission of the diseases are different. Measles- One way to prevent getting measles is to get vaccinated especially if traveling around the world as it still common in many countries. Some symptoms that do not align with chikungunya is runny nose, watery eyes, and a cough. Enteroviruses- The group of enteroviruses can include the diseases epidemic pleurodynia, hand-foot-and mouth disease, herpangina, poliomyelitis, aseptic meningitis, and myopericarditis. Septic Arthritis- An infection that is painful in a joint is called septic arthritis. The infection can quickly spread and treatment promptly is important. Similar symptoms to chikungunya with fever, swollen and painful joints. The cause however is different being bacterial, viral, or fungal infections. Rheumatologic conditions- There are more than 100 different rheumatologic conditions each which are unique in their own presentation. Some common conditions include: osteoarthritis, rheumatoid arthritis, lupus, ankylosing spondylitis, and sjogren’s syndrome. It is common to have joint pain, joint swelling, and possibly a fever with these conditions just like chikungunya virus. Leptospirosis- Leptospirosis is acquired in humans mainly follow being exposed to contained flood water. It is an infection that has symptoms similar to chikungunya virus. Symptoms are biphasic with the first phase lasting 4-9 days with fever, headache, muscle aches, chills and cough. The second phase then occurs between 6-12 days and these symptoms reappear as well as developing meningitis. 1. Harter KR, Bhatt S, Kim HT, Mallon WK. Chikungunya fever in Los, Angeles, California. Western J of Emerg Med. 2014; 15 (7). 841-844. 2. Lui NL, Leong HM, Thumboo J. Polyarthritis in four patients with chikungunya arthritis. Singapore Med J. 2012; 53 (4): 241-243. 3. Nappe TM, Chuhran CM, Johnson SA. 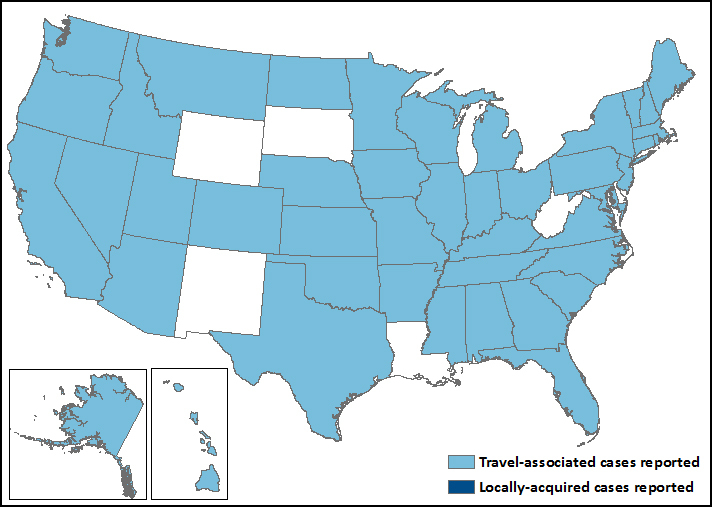 The chikungunya virus: an emerging US pathogen. World J Emerg Med. 2016; 7 (1): 65-67. 4. Shiferaw B, Lam P, Tuthill S, Choudhry H, Syed S, Ahmed S, Yasmin T. The chikungunya epidemic: a look at five cases. Elsevier. 2015; 2 89-91.